TM has added a third dimension: A rotating sole plate. The idea is to provide a way to counter the adjustable hosel. You see, when you adjust the hosel using the FCT to give the driver more loft, it appears to close the clubface. Simply adjust the rotating sole plate to open, and voila! You have a brand new driver. With the new rotating sole plate, you have 48 possible face settings. Not a big fan of the all-white crown, though. The idea is to reduce glare. (In the old days, they painted everything black to reduce glare.) The other idea is combined with the black face you have an extreme contrast that will help you address the club at the correct angle. I like this club for mid to low handicappers. 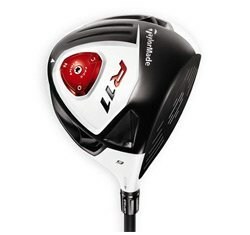 High handicappers should look at the aforementioned R9 and the Burner SuperFast 2.0 TP Driver.